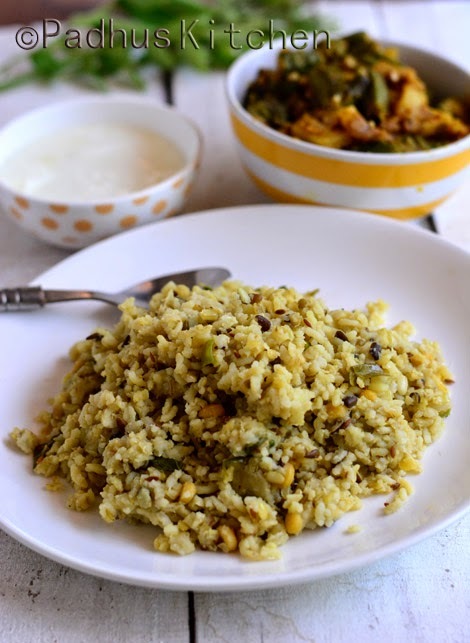 I love khichdi not only because it is my comfort food but also it is very easy to prepare. This recipe is specially for people who say they don't have time to cook healthy meals. I am taking the simple dal khichdi to the next level by using panchratna dal and brown rice to prepare the khichdi. It is wholesome, nutritious and delicious. I have discussed about Panchratna dal in my earlier post. You can check that in my Panchratna Dal Recipe, if you have missed it. It is a mix of 5 different dals (lentils)-Tur dal, Bengal gram (chana dal), split black urad dal, split green gram dal and masoor dal. Many are of the opinion that healthy recipes are tasteless and boring, but I choose to differ. This space has many delicious at the same time healthy recipes. Wash and soak panchratna dal, brown rice and white rice together for 2 hours. I usually use the pressure cooker for making khichdi as it cooks faster and saves a lot of time. If you do not have a pressure cooker, you can cook in a pan with a lid but will take a long time. Pressure cook dal and rice adding a little salt, turmeric powder and 2 1/2 cups of water for 4-5 whistles. I kept it in a vessel inside the cooker as you can see in the picture below. If you are cooking directly in the cooker, pressure cook for 2 or 3 whistles and simmer for 4 minutes. Take care not to burn the rice and dal. Heat oil (or even oil + butter if preferred) in a pan, add cumin seeds, when it splutters, add cloves and cinnamon. Then add finely chopped ginger, slit green chilli and curry leaves. Add the cooked dal + rice, salt needed and mix well, so that the rice is well coated with the seasoning. Drizzle a tsp of ghee and serve hot with any vegetable curry, papads, raitha or just plain curd and pickle. Note - You can use 1/2 cup brown rice instead of adding 1/4 cup white rice. If you want it mushy, add more water. Easy & Yummy! Thanks for sharing!